On Tuesday morning last week, I began my morning work to the beat of an intermittent rapping. It was so loud and so near, I thought it must be someone hammering on the house. I looked outside and saw, across the lawn, a large bird with a flaming red crest. 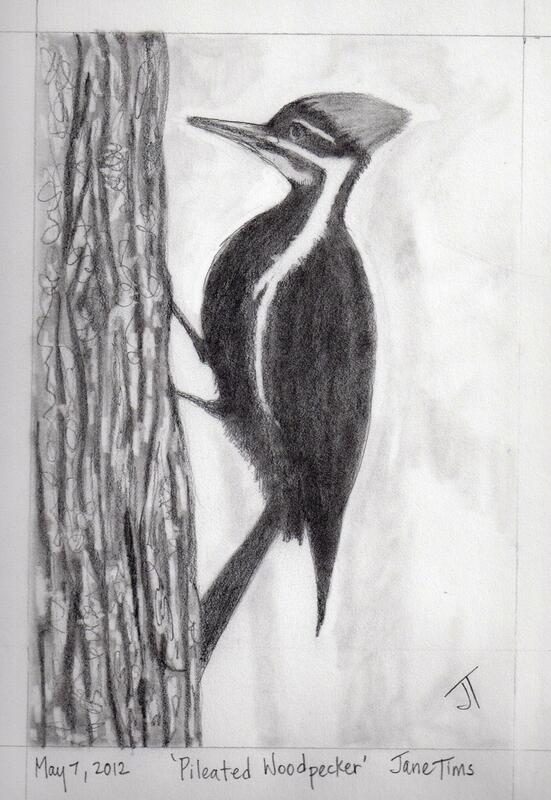 A Pileated Woodpecker (Dryocopus pileatus)! We have seen this species of woodpecker several times before in our Grey Woods. 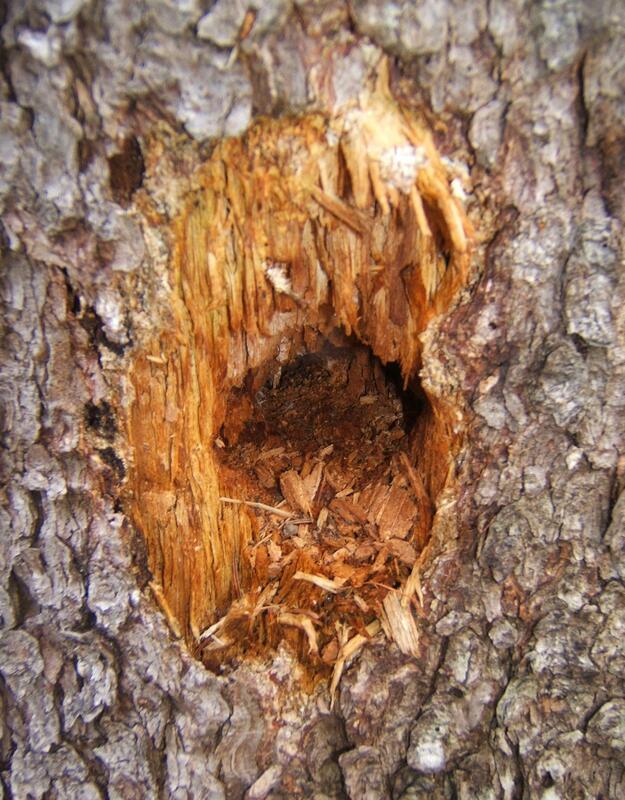 These birds leave their oval cavities in many of our older trees, evidence of their search for insects or the preparation of cavities for nesting. The use of dead or dying trees as cavity nesting sites is an example of how important these trees are to the woodland ecosystem. I watched as the bird did her circuit of the tree and hopped down to the ground for a while. Then she fluttered up to our cedar rail fence and into the trees. The Pileated Woodpecker’s bright red crest and long skinny neck give it a comical air – not a beautiful bird, but very exciting to see and watch.